More on Regs for Rigs: Did EPA Emission Standards Crowd Out Investment In Heavy Truck Fuel Economy? Recently on this site and at MasterResource.Org, I discussed the Obama Administration’s proposed rule to establish first-ever greenhouse gas (GHG) and fuel-economy standards for heavy duty (HD) vehicles. The rule, jointly proposed by the EPA and the National Highway Traffic Safety Administration (NHTSA), would set increasingly stringent GHG and fuel economy standards for HD vehicles manufactured during model years (MYs) 2014-2018. HD vehicles include “combination tractors” (semi-trucks), “vocational trucks” (dump trucks, delivery trucks, buses), large pickups and vans. Do Consumers Undervalue Fuel Economy? The agencies have long held that “consumers undervalue fuel economy,” as EPA puts it on p. 44413 of its July 2008 Advanced Notice of Proposed Rulemaking: Regulating Greenhouse Gases under the Clean Air Act). Yes, EPA acknowledges, the addition of fuel saving technology increases the purchase price of a vehicle, but, the agency contends, “the lifetime discounted fuel savings will exceed the initial cost increase substantially” (ANPR, p. 44447). EPA writes as if the only factors consumers need to weigh and balance when purchasing an automobile are the upfront purchase price and the lifetime fuel costs. Given that premise, consumers who do not spend more for a higher mpg-vehicle are short-sighted (“fuelish”). Like children, they either do not discern their own best interest or lack the self-discipline to pursue it. So the Nanny State must step in and restrict our choices for our own good. Such is the elistist pretension underpinning three-plus decades of fuel-economy regulation. In reality, consumers are not two-dimensional beings trapped, like agency fuel-economy fetishists, within a two-factor decision framework. In addition to the tradeoff between upfront cost and long-term fuel expenditures, consumers also consider vehicle power, performance, utility, style, safety, comfort, and amenities. Some people, for example, are willing to pay more for gasoline in order to enjoy the panoramic views, cargo space, passenger space, off-road versatility, and towing capacity of a large SUV. More importantly, when consumers purchase a car, they typically take into account costs that are completely unrelated to the vehicle itself. For example, Mrs. Smith may prefer a lower priced car because she needs more disposable income this year for new home-office equipment, for little Sallie’s music lessons, or for Bill Jr.’s orthodonture. Forcing her to spend more of her disposable income on a higher-mpg vehicle would not enhance her family’s welfare, even if she could recover the extra expense in five years. Each consumer’s welfare is subjective and involves a subtle weighing and balancing of many competing considerations. For EPA to claim that “consumers undervalue fuel economy” is tantamount to saying that Mrs. Smith “overvalues” music lessons. Do Truckers Underinvest in Fuel Economy? Okay, so the notion that consumers “undervalue” fuel economy is dubious. In their joint proposed rule, EPA and NHTSA do not claim that truckers undervalue fuel economy. That would not pass the laugh test. 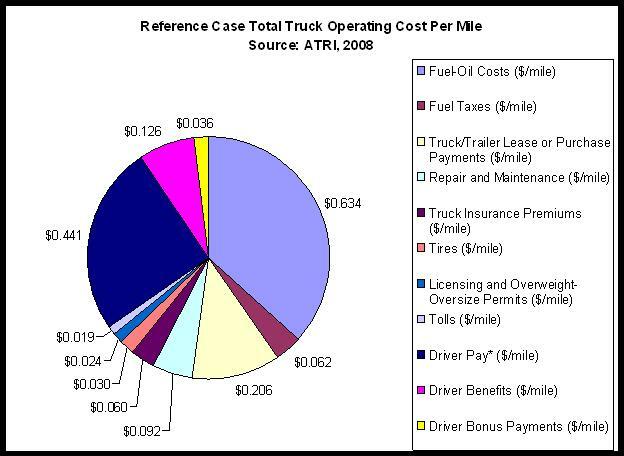 As the agencies acknowledge (p. 315), “Unlike in the light-duty vehicle market, the vast majority of vehicles in the medium- and heavy-duty truck market are purchased and operated by businesses with narrow profit margins, and for which fuel costs represent a substantial operating expense.” Indeed, for truckers, fuel is the single biggest operating expense. Clearly, nobody has a keener incentive to reduce fuel expenditures than people who haul freight for a living. The agencies propose five “potential hypotheses” to explain why firms with narrow profit margins in a competitive industry where fuel is the chief operating expense are not seizing an opportunity to make billions in easy money. As discsussed in my MasterResource column, none of these explanations demonstrates a “market failure.” In fact, two of the hypotheses suggest that truckers are simply acting like prudent buyers (although, naturally, the agencies don’t put it that way). Specifically, truckers want to make purchasing decisions based on road-tested information, not just agency speculation. Prior to actual deployment of the technologies, nobody knows whether they will yield the promised fuel savings and how they will affect engine reliability and maintenance costs. The Oak Ridge Laboratory publishes an annual Transportation Energy Data Book. The chapter on heavy vehicles (p. 5-2) reports that the fuel-economy of “single unit” trucks improved 2% annually during 1998-2008. No “underinvestment” there. In contrast, “combination tractor” (semi-truck) fuel economy declined 1.2% annually over that period (p. 5-3). Yet these are the long-haul guys who, according to EPA and NHTSA, will save 18 times as much on fuel as owners of vocational trucks once they comply with the proposed rule (p. 337). I don’t know if prudent- buyer behavior accounts for the alleged investment “gap” or “energy paradox” (p. 315) in the semi-truck category, but the agencies should have at least mentioned one other obvious “hypothesis”: the opportunity cost of EPA’s emission control mandates. “In total,” EPA’s RIA continues, “we have estimated that the engine manufacturers will spend approximately $385 million on R&D.” Three hundred and eighty-five million dollars. Presumably, that could crowd out significant R&D on fuel saving technology. Every year for five years, an estimated 21 engineers and 28 technicians at each of 11 major diesel manufacturers would be working on emission control technology. They would likely work less (or not at all) on fuel-saving technology. The RIA also estimated that, in the “near term” (MY 2007), the average semi would incur fixed, variable, and operating costs of $280, $2,946, $3,785, respectively (p. V-7). So in the near term, owners would have about $7,000 a year less per vehicle to spend on fuel saving technology. For perspective, EPA and NHTSA estimate that their proposed GHG/fuel economy standards will increase the cost of a “combination tractor” by $5,896 in MY 2014 (p. 7-3). Presumably, some truckers who spent $7000-plus for mandated emission control technologies did not have $5,896 to spend for new fuel saving technology. Finally, EPA’s year 2000 RIA says that the diesel particulate filter will “negatively impact fuel economy by approximately one percent” but that this will be “more than offset through optimization of the engine-PM trap-NOx adsorber system” (p. V-32). Whether this forecast turned out to be accurate or not, I do not know. What does seem clear is that EPA’s own rules may be responsible for the alleged “paradox” that the freight goods industry is not making cost-effective investments in fuel-saving technology. Unfortunately, the latest information I have found on the industry-wide R&D costs and per-vehicle costs of EPA’s HD vehicle emission standards, and whether the associated technologies enhance or reduce HD vehicle fuel economy, is EPA’s year 2000 RIA, which offers projections rather than a retrospective, real-world, assessment. I would be grateful to anyone who can point me to later information.